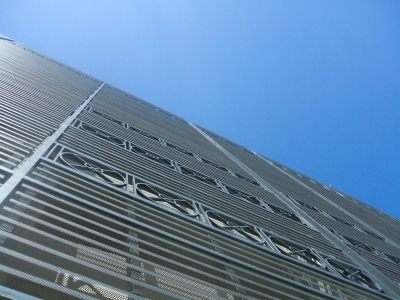 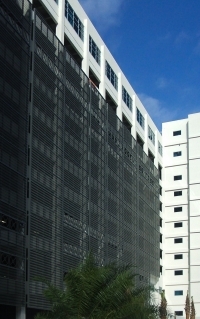 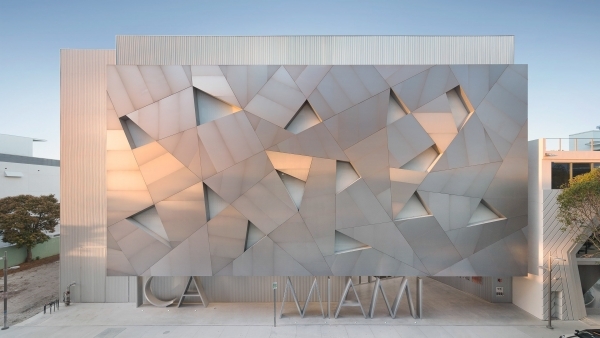 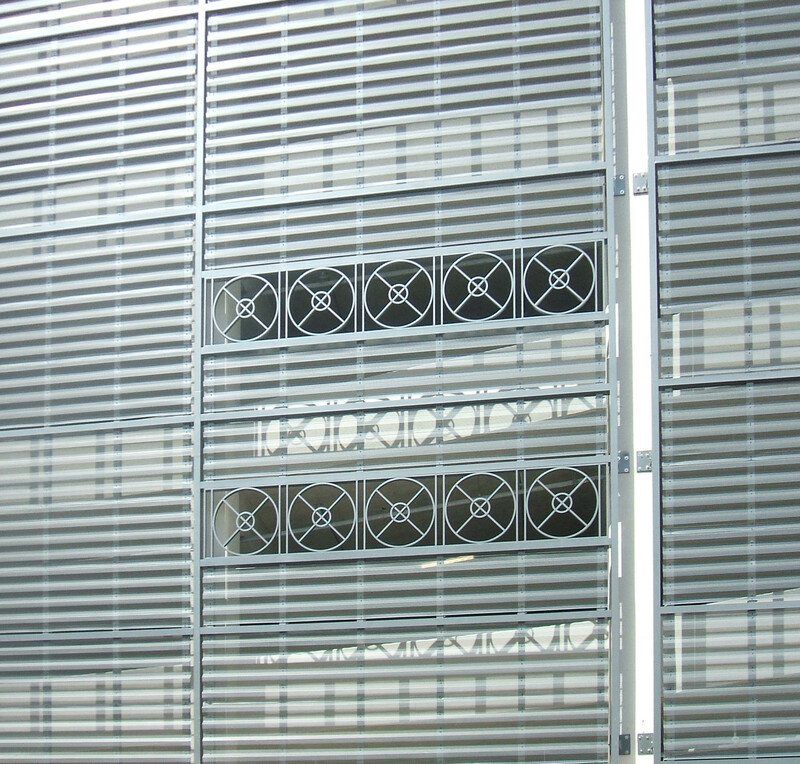 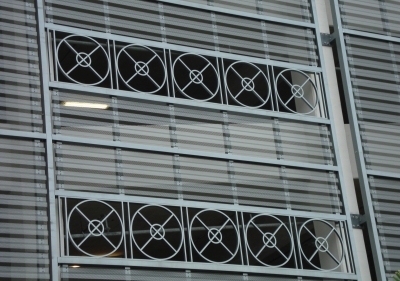 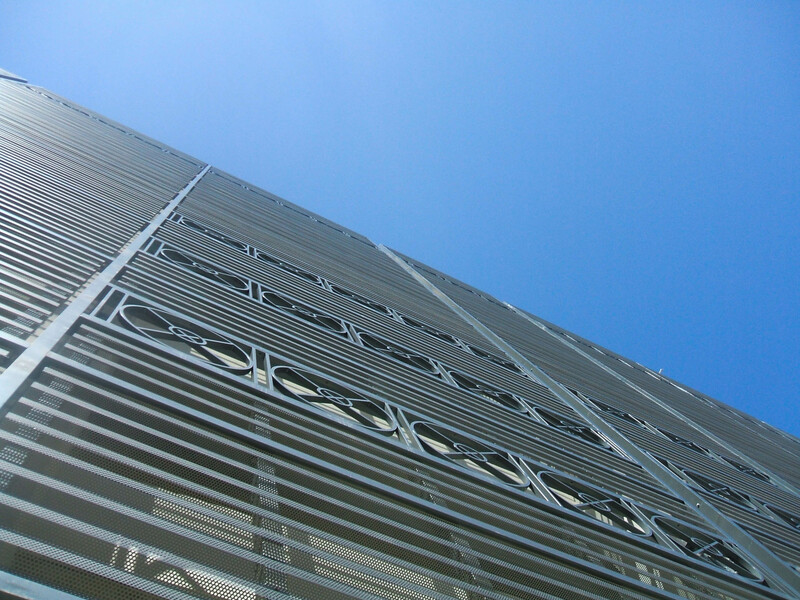 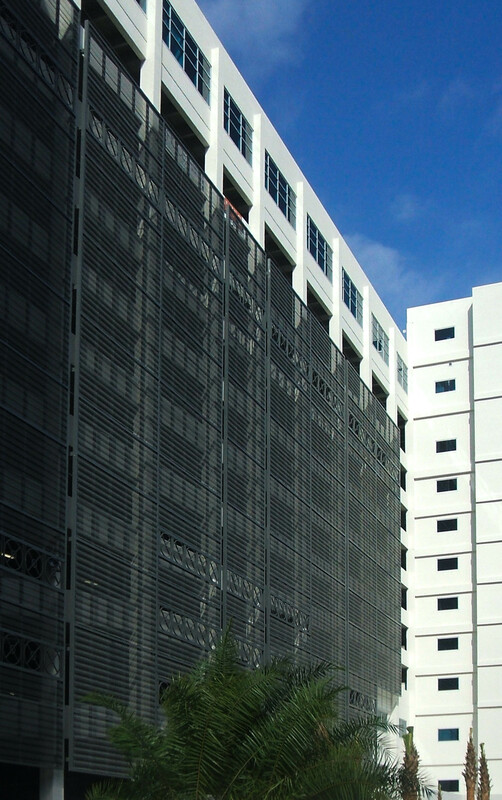 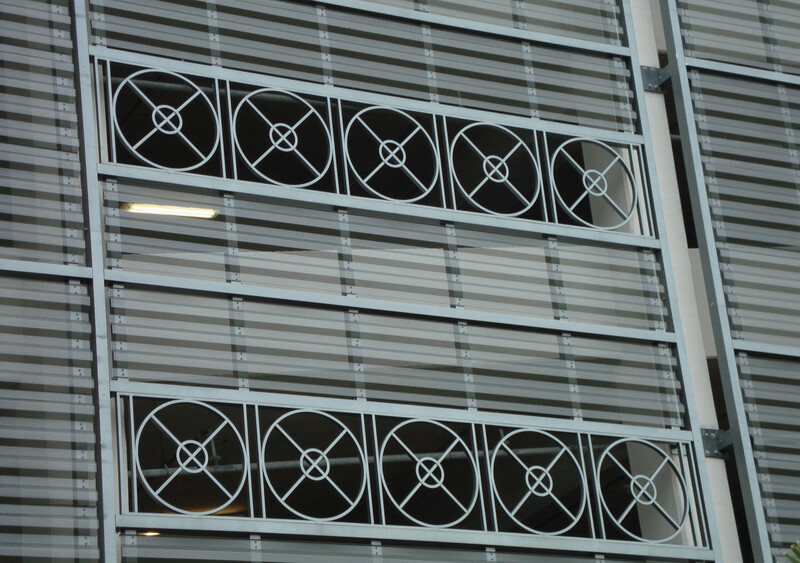 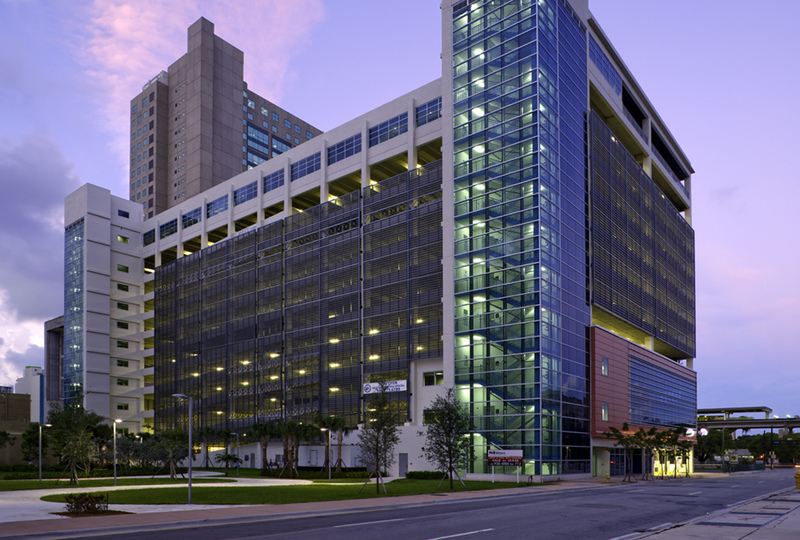 Custom parking structure facade for the Miami Parking Authority. 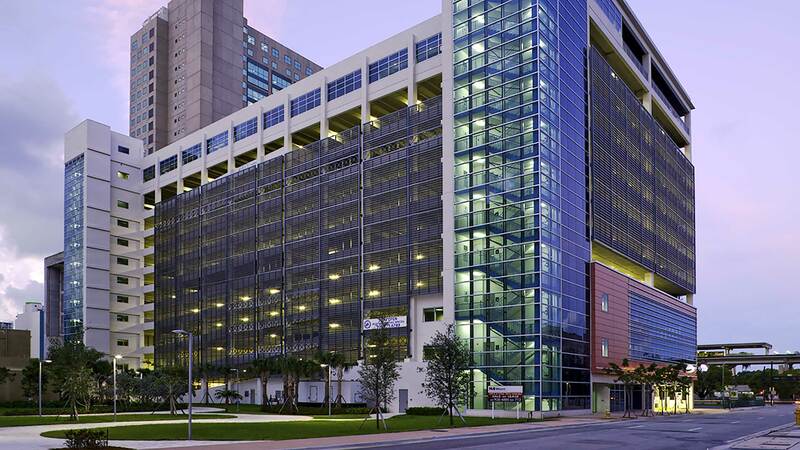 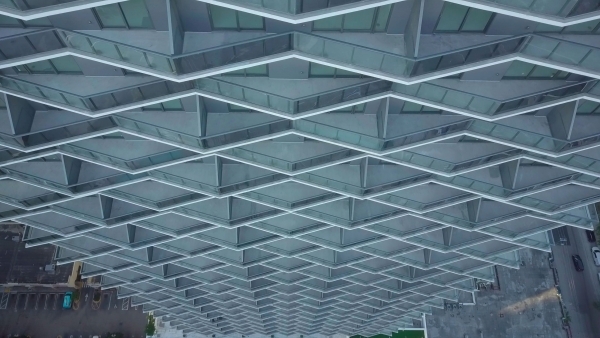 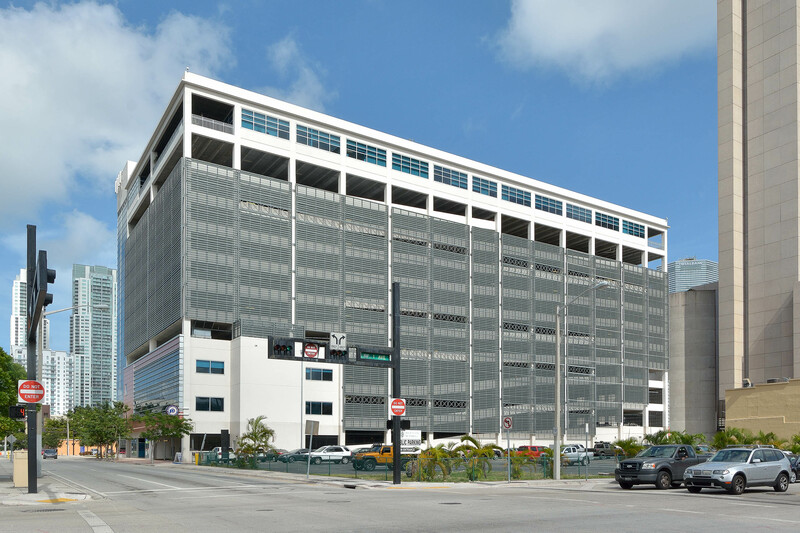 The Courthouse Center Parking Garage is a $4-million project in downtown Miami, Florida completed as project under the Miami Parking Authority. 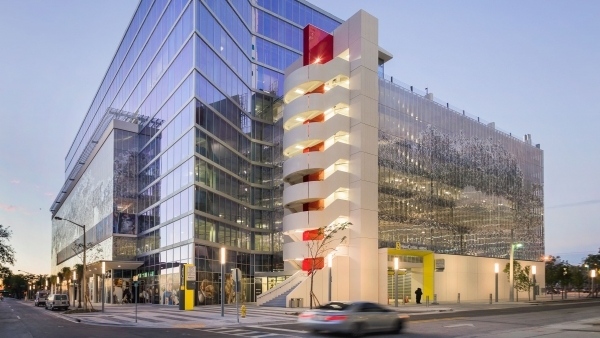 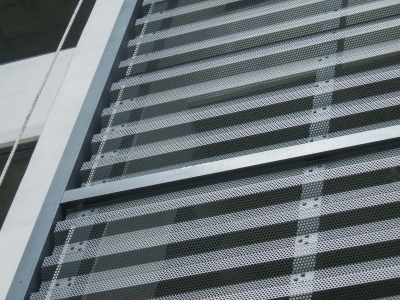 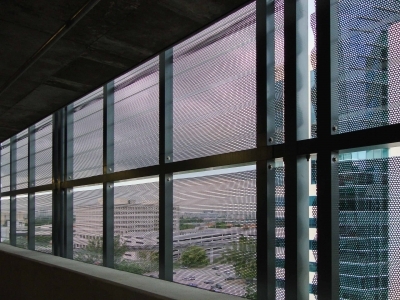 Poma provided design and construction of 75,000 square feet of custom façade screen. 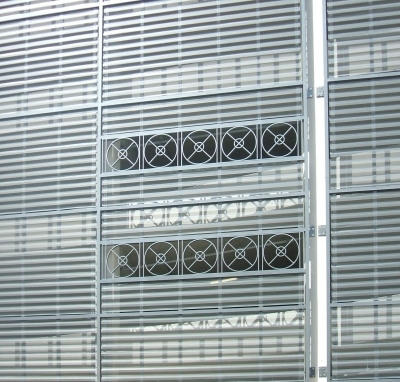 The original bid docs specified stainless steel screening and tubing. 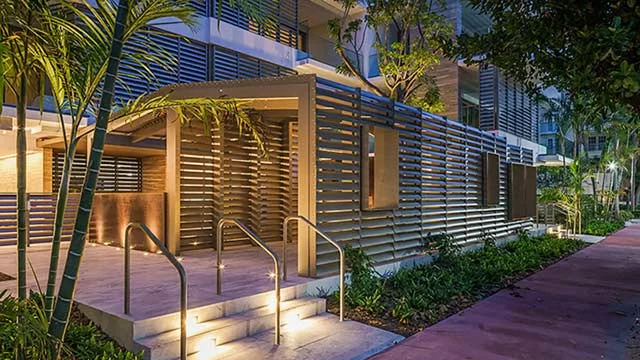 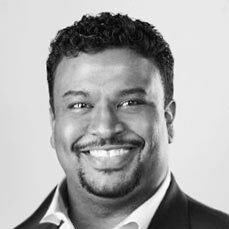 Poma was able to redesign an aesthetically pleasing and structurally sound design which saved the owner an estimated $4 million on the original design. 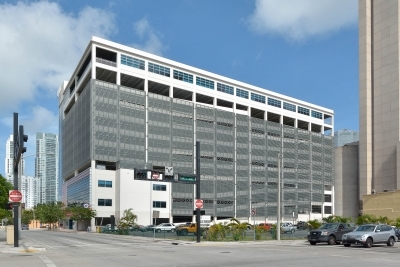 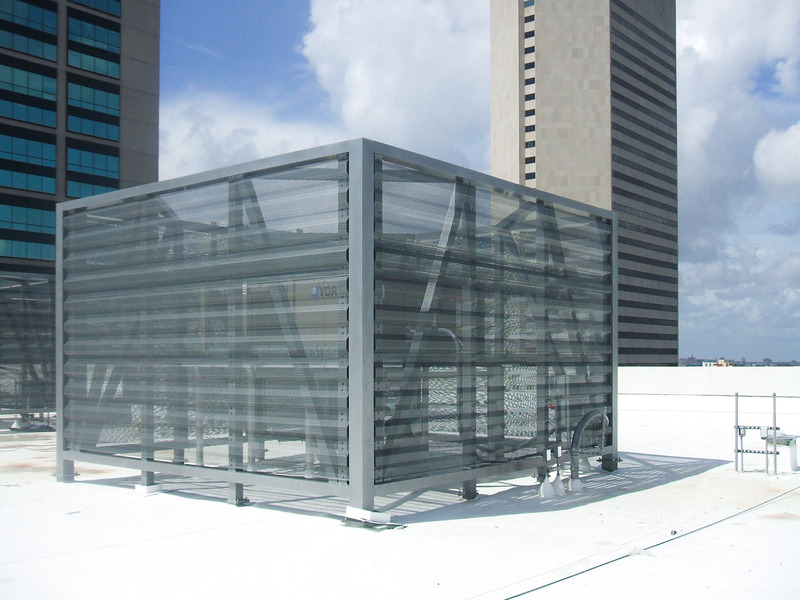 In addition to the parking garage facade scope, Poma provided a number of miscellaneous smaller scopes for the Miami Parking Authority project. 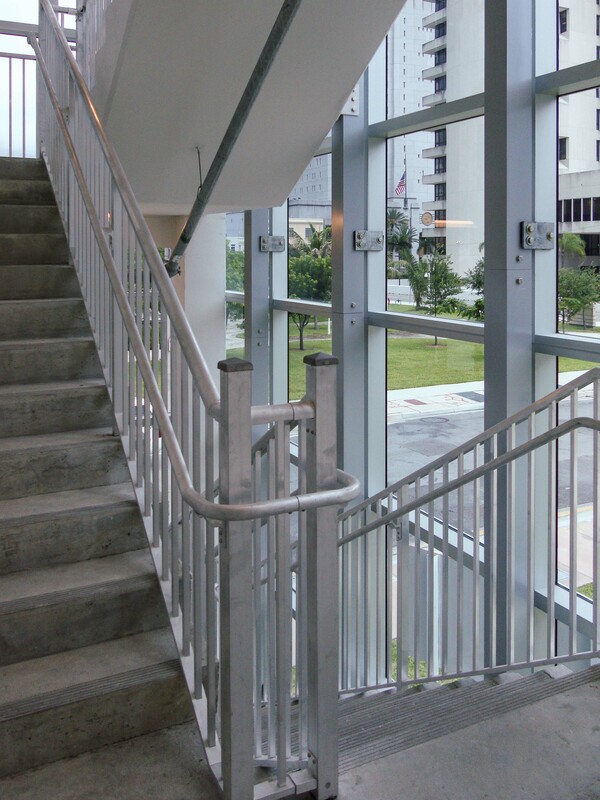 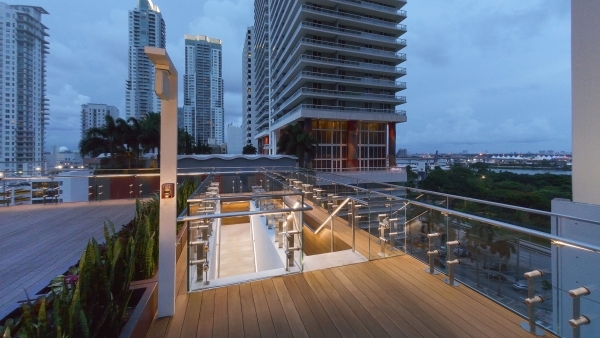 This included a rooftop equipment screen, stair railing throughout the project, and terrace railing. 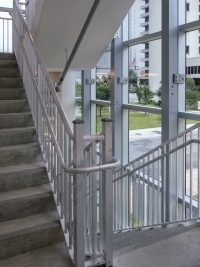 Poma also provided structural steel support tubing. One of our best subcontractors.